If you're considering egg donation as a method of building your family, you may be wondering what it will be like. How do you choose an egg donor? How will you feel about your egg donor conceived child? Jen R. offered to share her story with Verywell Family readers. She talks about why she choose egg donation, what the process was like, and how she feels toward both her children and the egg donor. What Is Your Infertility Story? I was diagnosed with premature ovarian failure (POF) when I was 29 years old, three months after giving birth to my son. It took me almost a year to get pregnant with my son, as I wasn't having periods and couldn't figure out why. I had a strong feeling that something was wrong and actually had a moment where I knew I couldn't have any more children. Call it premonition, insight, a gut instinct—but I knew. How Did You Decide on Egg Donation? After months of counseling, crying, and grieving the loss of my ability to have children, my husband and I talked about our options. Should we have more kids? Was this God's plan for us to have one? My father is an only child, and I feel he turned out okay, so maybe we could be okay with one child. But then I remembered when his parents died, and he had no one to turn to. No one to share his memories with. This, for whatever reason, struck a chord with me and my husband, and I tossed around egg donor and adoption. We figured since we already had a biological child, egg donor might be worth trying, because I knew that carrying a child wasn't my issue. It was my lack of eggs. What Was the Donor Selection Process Like? We looked into egg donors, and wow! Who knew I would have this flood of emotions in starting this journey. Going through profiles of donors and their pictures is such a strange process. To think you can "pick" your child's biological mother is quite overwhelming. I am 5'10", blonde, blue eyed. There really weren't many donors that fit those criteria. So I decided to go on my instincts. Once I was okay with that, I found my donor right away. The minute I opened her folder, I knew. Immediately. In that moment, I just knew it was her, and I couldn't explain why. I read her profile to make sure it was okay, and it was. She was a college student. Smart, pretty, articulate, and athletic, too. Once I made my decision, I couldn't believe that everything fell into place. She was available to start the process right away. So through our lawyer, infertility clinic and egg donor clinic, we arranged everything and moved ahead. That was the hard part. I was at the doctor's office three times a week. I was getting blood tests, checking my uterine lining, getting my meds, or something else. I think my son thought this was his second home! What Is the IVF with Egg Donation Process Like? Physically, this was a tough process. I had three needles going into my body daily. One was for estrogen, one for progesterone, and I can't even remember what the third was for! Being that I had no menstrual cycle, my doctor had to "create" one through drugs. I had to be in sync with my donor. Once that was arranged, I had to be prepared for when she ovulated, and then five days later for the transfer. That was a tough process. I kept hoping and praying that she would produce enough eggs for this to work. She did. She produced 18 eggs! I was thrilled. My husband went in and took care of his part, and five days later I got the call to go in. Being told the quality of the embryos is kind of funny. They tell you their "grade level" and which one's they're putting in. They put in two, and I went home and was told to rest for two days. I did, and thank God for my friends who helped me through this time. They helped with my son and my house, so I could relax. I had a feeling the embryos took, and they did. I took an early test and found out I was pregnant. WOW— twins! How Do You Feel About Your Donor Conceive Children? Once they were born, I didn't feel any different about them. I often look at the donor's picture and try to see if they look like her. One of the girls looks exactly like her. Her twin looks like my husband. My family and friends know that they are [the result of a] donor, and no one treats them any differently. I feel like they are my children, because I know they are. They also know they were a gift from another woman who helped me have them. This is not a secret to them, as I want them to always know the truth. How Do You Feel About Your Donor? Whenever I look at our donor's picture, I think a lot about her. I always smile when I think of the gift she gave my family. I know I paid for this, but yet the gift of my two daughters is worth it. I feel grateful that our donor chose to donate. I also think about the risk she took to donate her eggs and how it could possibly hurt her chances for having children. I pray it never does and wish her good health. I sometimes get the urge to find her and ask her questions. (Our donation was closed). I would love to go and watch her to see her mannerisms, how she talks, how she moves. I would love to see if either of my daughters take after her. The urge isn't strong enough—it's probably more of my own fantasy or curiosity. I know these are my girls and mine. How Much Did You Pay For the Egg Donor IVF Cycle? If memory serves right, the egg donor fee was $10,000 and the IVF was $18,000. What Advice Can You Offer to Women Considering IVF with Egg Donation? If you are considering an egg donor, make sure you have explored every option. Is this okay with you and your partner? What about your religious beliefs? Make sure to get counseling to help you with the process. You might think you don't need counseling, but I promise you, you will. Your friends and family will be there to be helpful, but they won't truly understand. Your emotions will be all over the board from happiness to doubt, and the fact that the hormones will make you crazy. During the whole process, ask lots of questions. Make sure you know everything you are getting into and make sure you are 100 percent okay with every step of the process. 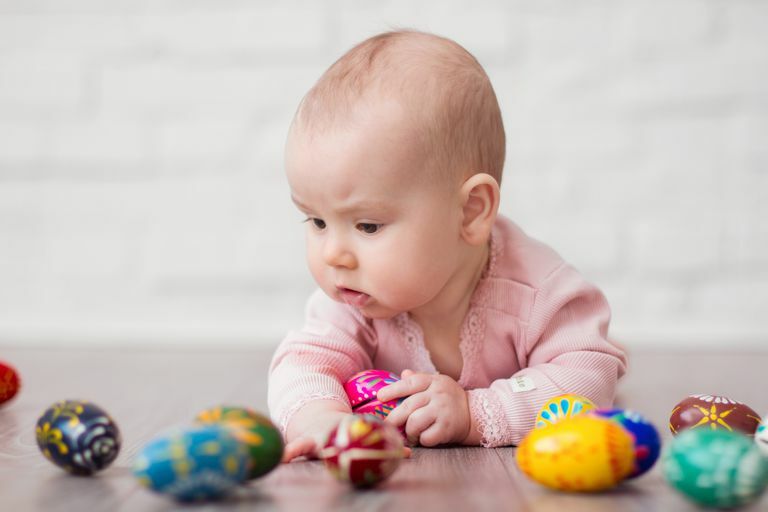 The process of deciding to use and choosing an egg donor is unique and personal to each individual. Jen's story above is just one path. As you explore this family building option, educate yourself as much as possible on the process. Talk to other men and women who have decided to use an egg donor to have kids, and try to learn from their experiences. You don't—and shouldn't!—have to do this on your own. Seek out a local support group or connect with people online. Parents Via Egg Donation has an amazing site. Most fertility clinics require you to seek counseling before starting egg donor IVF, but in the event they don't, look for a fertility counselor yourself. The more you know, the more empowered you'll feel to make decisions that are best for you.